At a press conference in Tokyo earlier today, Brightcove announced the general availability of a fully-localized online video platform for Japan. With today's announcement, Brightcove extends its existing localized player architecture to inlude the full suite of back-end online video platform services, including content management, player design and publishing, delivery, product documentation and customer support. In Japan, Brightcove is based in Tokyo with a local staff that includes senior leadership, sales, marketing, engineering and customer support teams. In under a year's time, Brightcove has achieved incredible momentum in the market with customers including Tokyo Broadcasting System (TBS), Asahi Breweries Group, Sony Music Network Japan, Shueisha Publishing and Orange Page net. Additionally, Brightcove was chosen by Web TV distribution giant, PRESENTCAST, for gorin.jp, the exclusive online video portal in Japan for coverage of the Beijing Olympic Games. Building on this momentum, Brightcove will accelerate platform adoption in the country with the introduction of a new 30-day free trial program for Japan that provides access to the localized, full-featured Pro edition of the Brightcove online video platform. 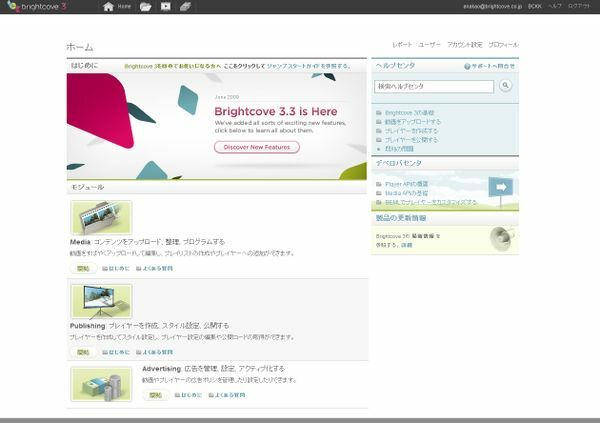 The free trial program, as well as localized tutorials and documentations, can be accessed through Brightcove’s Japanese website www.brightcove.co.jp and the Brightcove 3 Studio http://studio3.brightcove.co.jp/login. Brightcove established its majority-owned subsidiary, Brightcove KK, in Japan in 2008 with $4.9 million in new investment from Brightcove Inc. and four market-leading Japanese strategic partners: Dentsu, Inc., J-Stream, Inc., transcosmos, Inc. (transcosmos), and Cyber Communications, Inc. (CCI). UPDATE: Beet.TV's Any Plesser caught up with Brightcove SVP of Marketing, Jeff Whatcott, to discuss Brightcove's international expansion and entry into the Japanese market. Click here for the video.